Being Muslim Under Narendra Modi - he has described the reprisal killings of Muslims that year as a simple “reaction” to an “action,” namely the deaths of the Hindu train passengers — and has said he felt as sad about them as would a passenger in a car that accidentally ran over a puppy. His only regret, he once told a reporter for this paper, was failing to manage the media fallout. AHMEDABAD, India — Late last month I bought an Indian comic book online. I hadn’t bought one since the mid-80s, when I was a boy and would walk to the bookstore in my hometown in Kashmir to pick up copies of D.C. and Marvel Comics, or Amar Chitra Katha, a series based on the lives of major contemporary, historical and mythological figures in India. My latest purchase, “Bal Narendra” (“Boy Narendra”), was styled after Amar Chitra Katha. I turned the pages with a mixture of anticipation and foreboding. The book purports to tell stories from the childhood of Narendra Modi, the longtime chief minister of Gujarat, one of the richest states in India, and the polarizing Hindu nationalist candidate for prime minister in the ongoing election. The tales are part of Mr. Modi’s high-octane campaign effort to present himself as a bearer of good governance, growth and efficiency. Bal Narendra, the son of a tea-seller in a small town of Gujarat, embodies many virtues: courage, wit, diligence, fairness, compassion. He sells tea at a village fair to raise money for flood victims. 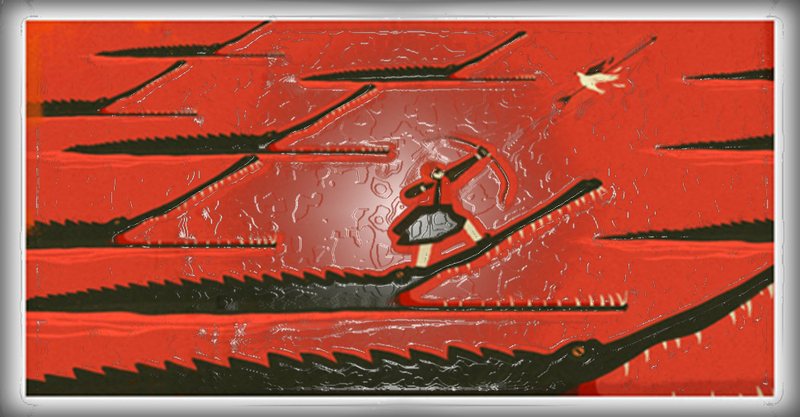 In devotion to the religious tradition of his village, he swims across a lake full of crocodiles and hoists a flag on top of a temple on an island. When some bullies rough up a weaker child at school, he marks them by throwing ink from his fountain pen on their shirts and denounces them to the principal. The publishers of the comic book — available exclusively from Infibeam, an Amazon-like online retailer run by a Gujarati entrepreneur close to Mr. Modi — would have you believe that now that he is all grown up, Bal Narendra is just as brave, clever and just. If anything, however, Mr. Modi’s public record paints the picture of a leader unapologetically divisive and sectarian. It was on his watch as chief minister that more than 1,000 people, many of them Muslims, were killed throughout Gujarat in 2002, when rioting erupted after some 60 Hindus died in a burning train in Godhra. A Human Rights Watch report that year asserted that the state government and local police officials were complicit in the carnage. Mr. Modi has not visited the camps of the Muslims displaced by the violence or apologized for his government’s failure to protect a minority. Instead, he has described the reprisal killings of Muslims that year as a simple “reaction” to an “action,” namely the deaths of the Hindu train passengers — and has said he felt as sad about them as would a passenger in a car that accidentally ran over a puppy. His only regret, he once told a reporter for this paper, was failing to manage the media fallout. Mr. Modi’s engines of growth seem to have stalled on The Border. His acclaimed bus network ends a few miles before Juhapura. The route of a planned metro rail line also stops short of the neighborhood. The same goes for the city’s gas pipelines, which are operated by a company belonging to a billionaire businessman close to Mr. Modi. Asif Pathan, a 41-year-old resident, said with sarcasm. “I get a bill for water tax and pay it, but we don’t get piped water here.” The locals rely on bore wells, which cough up salty, insalubrious water. Mr. Pathan has been living in Juhapura since 1988, when his father, a retired district judge, bought a house here from a Hindu man. “My father said, ‘When the storm comes, you don’t get more than 10 minutes to run,"’ Mr. Pathan explained, referring to the threat of sectarian violence. In the late 1970s and early 1980s, Juhapura was a mixed Hindu-Muslim neighborhood, but with the string of sectarian clashes in Gujarat — in 1985, 1992 and 2002 — more Muslims began to move here, seeking relative safety among people like themselves. Prejudice begets riots, and riots only exacerbate prejudice, and so the population of Juhapura has almost doubled since 2002. After the 2002 riots, Mr. Pathan, a teacher, began tutoring children in Juhapura. Then he quit his job and, with his father’s support, bought a large patch of land by the highway that runs through Juhapura. In 2008 he started his own school. Now, around 1,300 children there attend classes in both Gujarati and English in airy classrooms. “We simply have to help ourselves,” Mr. Pathan said. But self-help only goes so far, in Juhapura, and elsewhere. A large chunk of Narol, an area on the southern edge of Ahmedabad, was once a patch of uninhabited brushland that belonged to a wealthy political family. After Mr. Modi’s government refused to help relocate victims of the 2002 riots, several secular and Islamic organizations and small-time Muslims developers got involved. They bought land, cleared it, and built tenement houses, asbestos-lined roofs and all. About 120 homes were assigned by lottery to Muslims displaced from Naroda Patia, in northeast Ahmedabad. The cluster is called Citizens’ Nagar, or Citizens’ City, and wherever you stand in the self-made neighborhood you can see, half a mile away, a big brown mountain: the largest garbage dump in Mr. Modi’s boom city. When I walked around Citizens’ Nagar last week, the brown mountain was burning into thick gray clouds under a harsh afternoon sun. The wind pushed pungent fumes toward the tenements. I struggled to breathe and feared I would vomit. His father, Najeebudin Syed, a large man with a short beard, told me that the many petitions he has sent to local authorities describing living conditions in the area have been ignored. “Once a week, they bring garbage from the Ahmedabad hospitals — bandages, medicine, refuse of all kinds. The smell is so foul, so bitter, that we know in a minute it is from the hospitals,” he said. Some days, the carcasses of dead animals are brought to the dump. That evening, back in my hotel room, I read another story from the comic book “Bal Narendra.” The boy is at a camp of the National Cadet Corps — the Indian version of the Eagle Scouts — when he notices a pigeon in a tree entangled in the strings of a kite. Holding a razor blade between his teeth, he climbs up, cuts the lines and frees the injured bird. I remembered Juhapura’s putrid water and the carcasses on the brown mountain, and wondered how a Prime Minister Narendra would wield that blade. Basharat Peer is the author of “Curfewed Night,” a memoir of the conflict in Kashmir.